Karen Friedman gets results for her clients. Her practice includes handling a variety of traffic-related matters, including traffic and trucking violations, misdemeanors and appeals. She appears in court daily defending motorists and trucking companies against a variety of crimes and violations. If you are convicted of a moving violation or crime, it can have a serious impact on your driver’s license and your ability to make a living. Karen Friedman can defend you in court and help you maintain a valid driver's license. New York State law does not permit troopers to plea-bargain traffic tickets. In essence, if a trooper wrote your ticket, you must either plead guilty, conference the case with a prosecutor, or go to trial. In order to be successful at trial, a motorist needs to be well versed in the law and be able to cross examine the trooper. It is difficult for most motorists to stand in a courtroom full of people and cross-examine a trooper. Karen Friedman has tried thousands of cases all over New York State and can effectively represent you. 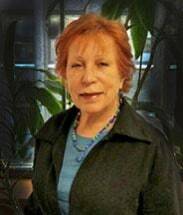 If you wish to meet with Karen Friedman personally, her office is located in Manhattan and is easily accessible by car or public transportation. By car: Metered parking is available on both Third Avenue and Lexington Avenue, a short walk from the office. By subway: Two subway lines have stops near the office. The Number 6 (Lexington Avenue) train stops at 33rd Street and Park Avenue. Karen Friedman is always polite, always professional and is good at what she does. you can't ask for more than that.